It’s no secret I’m a lover of old fixer upper houses. I like to think of them like a “little engine that could” ~ and try to shine them and paint them and coax them into spaces of comfort and beauty. I’ve had a little practice in that department over the years, and for the most part, I’ve loved the challenge. We had recently moved into the house we’re now in. In fact, I think it was our first morning here. I walked down to the basement to do a task, looked around, and burst into tears. It was just too much. 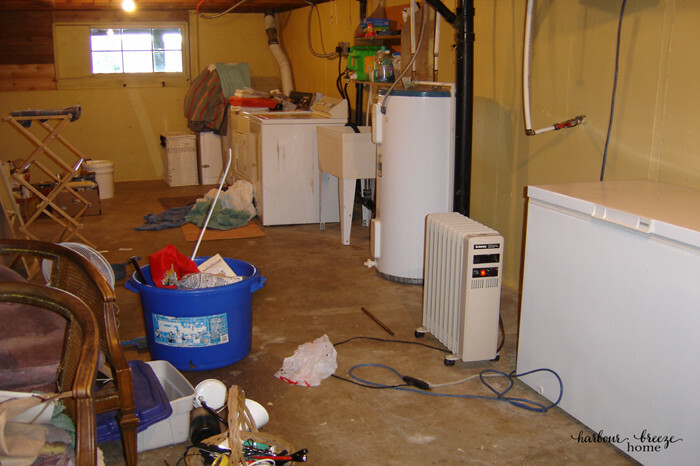 While trying with all my heart to purpose to be “content in all things” and to “look on the bright side of life”, I just couldn’t deny the truth that I thought the basement was utterly and absolutely GROSS! 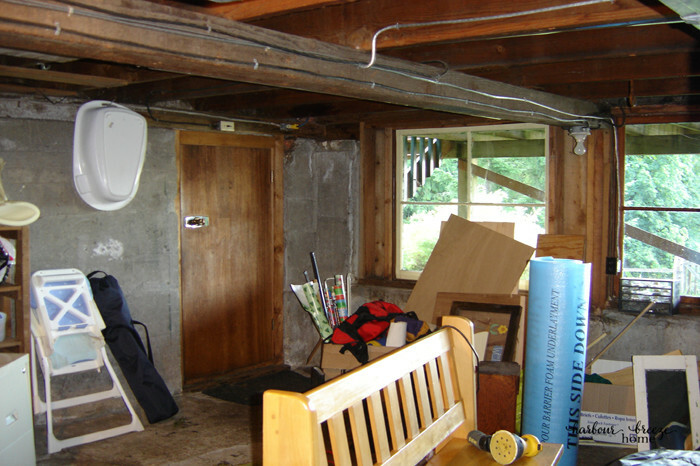 Although the former tenants had left it as spotlessly clean as possible (I’m so grateful! ), it was still one of the gloomiest spaces I’d ever set foot in. Two days later my in-laws arrived, and bless my father-in-law’s heart, he painted the walls of my new “laundry room” the sunny yellow shade of my choice. 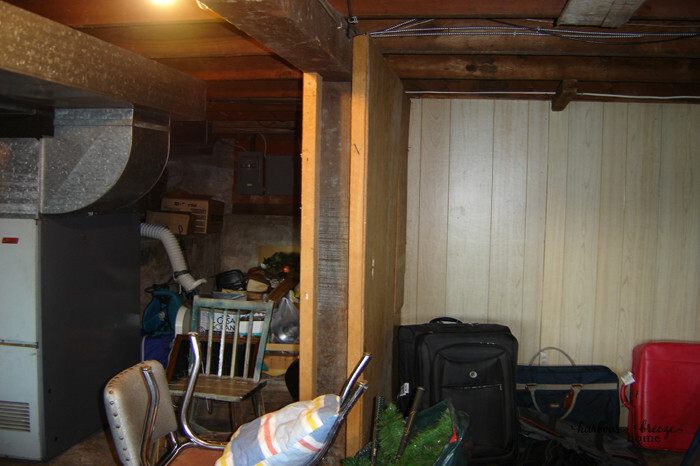 Over the years we’ve put lots of sweat equity into that poor basement. We’ve moved storage shelves, added drywall, replaced rotting driftwood pieces for actual wall supports, painted the floors, made a craft & laundry room, and a family sitting room. But there came a point where reality set in. 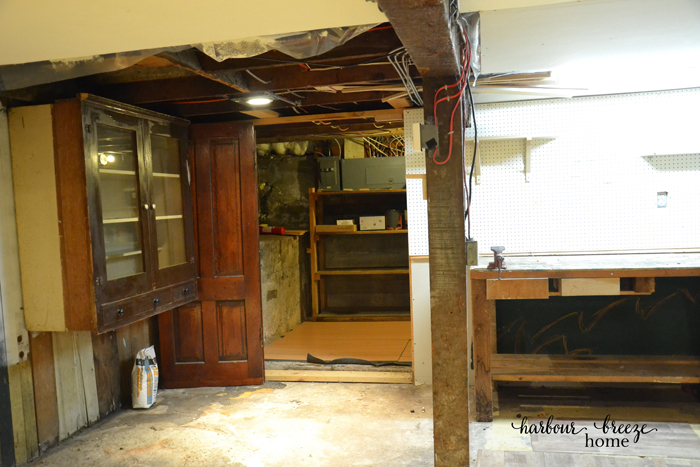 This poor, dear basement needed a lot more help than our nickels and dimes could fix. So, we stopped trying to “fix it up” and instead just accepted it as is and carried on.